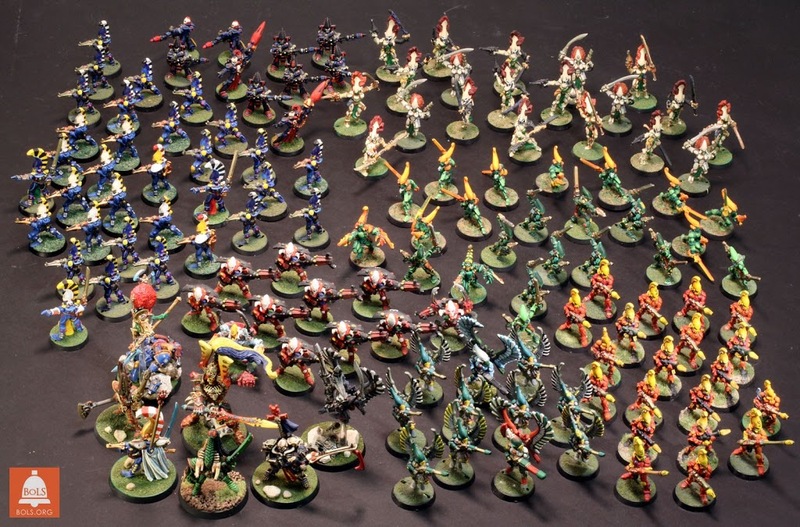 I’ve been working on my beloved Alaitoc Eldar for over 20 years. Here’s what it looks like so far. Now, this is what you might call a “long-term” project. 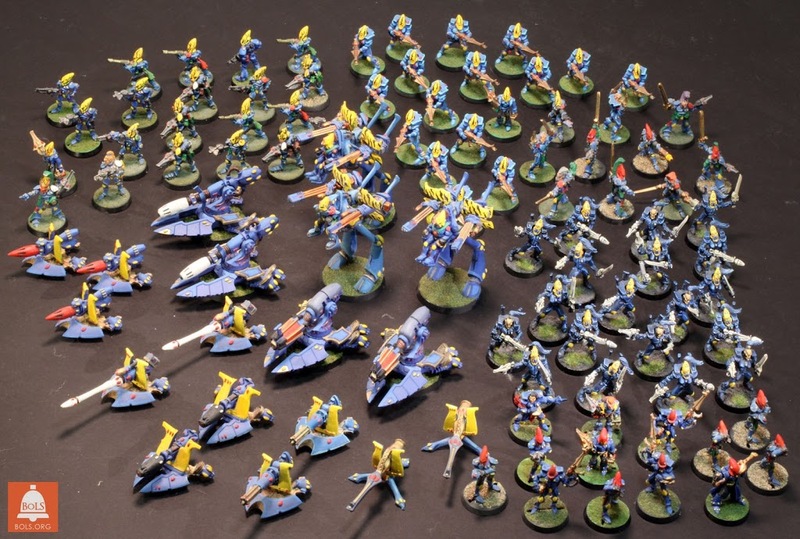 We have everything from the original Space Elves from Rogue Trader, to the Wraithknight. The army predates Alaitoc in fact. It was originally painted in the scheme of the Rogue Trader era Yriel’s Eldritch Raiders (that’s how old Yriel is). Years later when the Craftworlds were codified, the blue with yellow helmets became the colors of Alaitoc and it was off to the races. First up, the Aspect Warriors. We have all metal aspects here, mostly from the first range produced. There are some more recent ones in there, but alas after 20+ years still no Shining Spears. 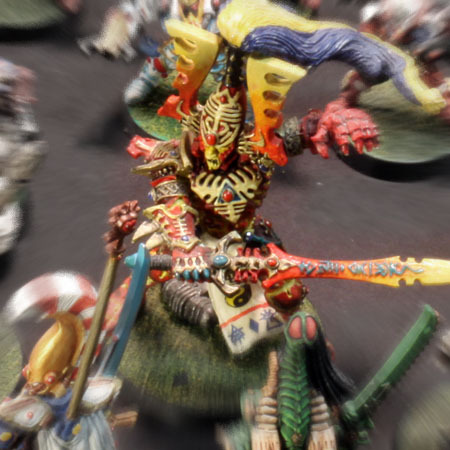 I’ve found I have more than enough to test out new army list builds and change up my army for tactical, or narrative reasons at will. Next, the Guardian core of the force. 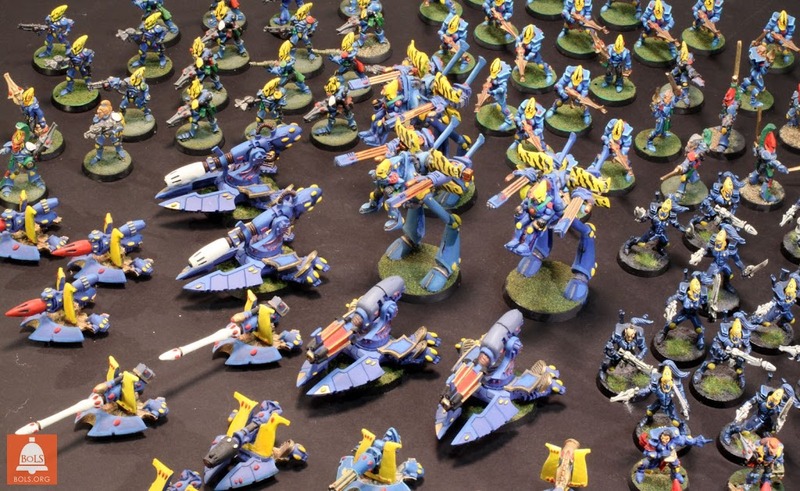 We have a lot of the original “Space Elves”, all the way up to the latest Guardians. My current project is a second set of the current Warwalkers to give my old Rogue Trader ones a well deserved rest. 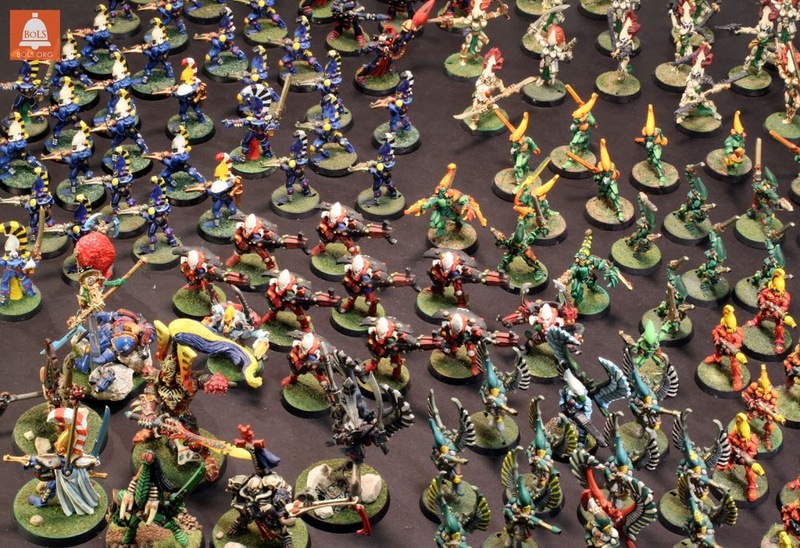 Also I am kind of a collector of the support platform gunner toting the “Eldar lunchbox” – see how many you can spot. I love that guy! Next come the dead. 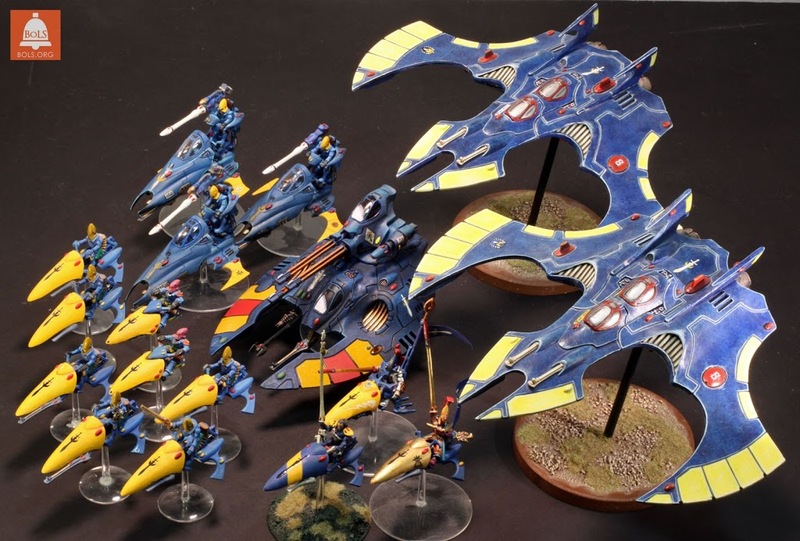 We have a mix here of ancient “Eldar Dreadnoughts” with everything up to the Wraithknight. 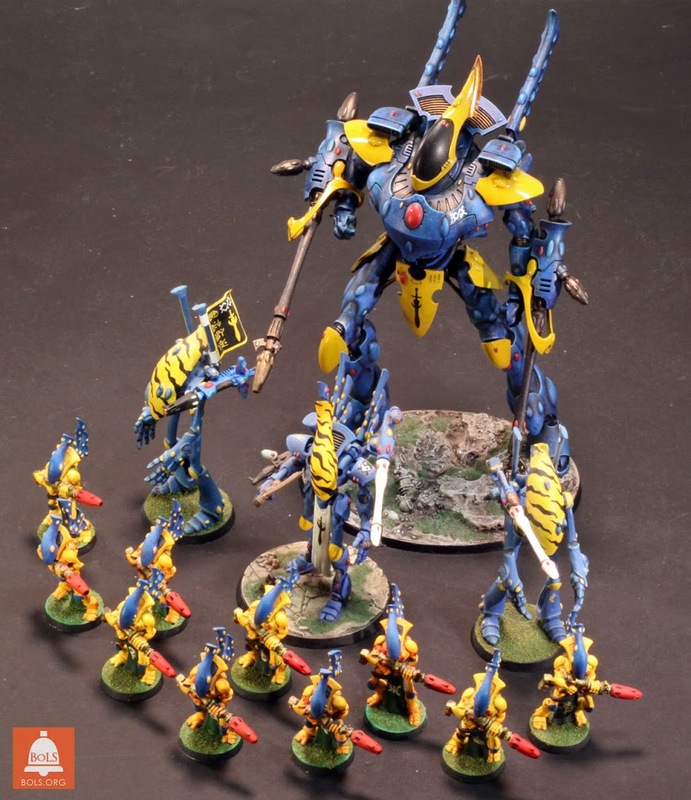 Next up for this warhost will be a squad of 5 Wraithguard with D-Scythes. 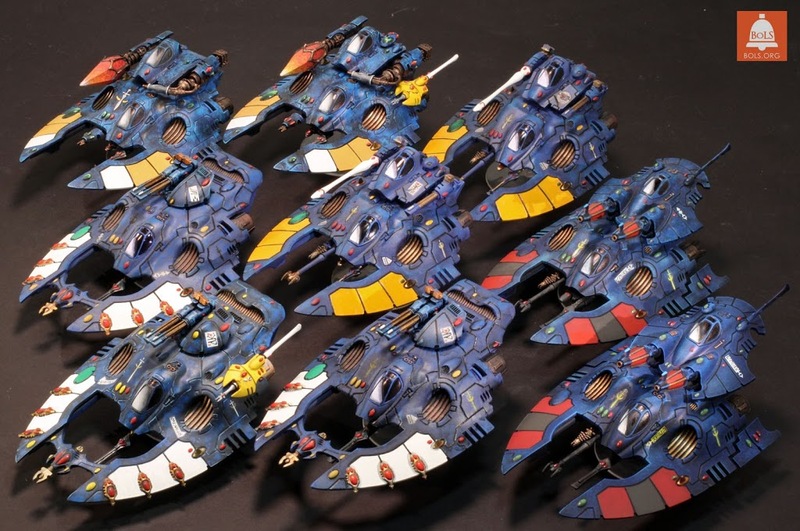 Now we have the Eldar motorpool of tanks. We have all the 4 codex types represented, including three original Forgeworld Wave Serpents. They are of a design I think is superior to the plastic kit, and one that makes much more sense with the current Serpent Shield rules. Here we have the fast movers of the army. A Firestorm AAA tank, 2 Phoenix bombers, and a gaggle of Jetbikes and Vypers. Rounding out the group is a pair of jetbike Autarchs and a Farseer. Our final group shot are the Outcasts and Psykers. 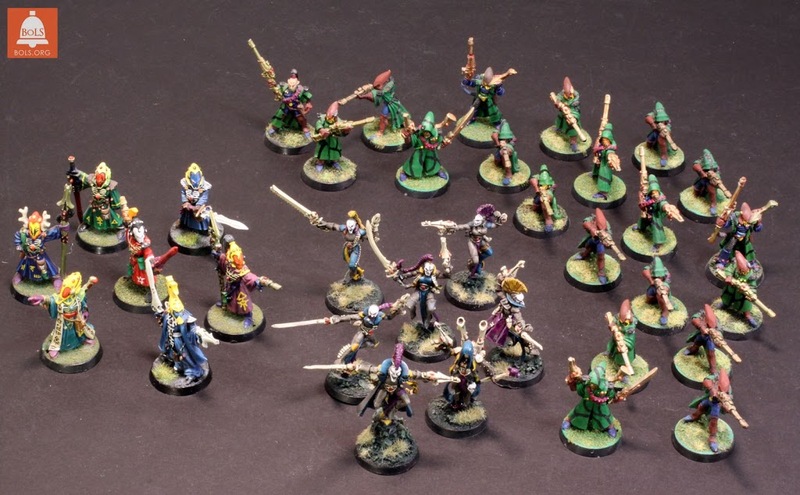 We have a big group of Alaitoc rangers (who used to drive people mad with the Ranger Disruption Table, Harlequins, and the Farseers and Warlocks on foot. It’s been a long time to get here, but it feels good to look back and know that no matter what the rules may throw my way – I will be ready to have a great time on the tabletop! Thanks for looking everybody and leave your comments below!